November. It's going to be crazy, but I'm hoping it will be crazy in a good way. I'm finally going to do something I've meant to do for a very long time. I'm going to write a real book, or, at least give it my best shot. It's time for National Novel Writing Month, affectionately known as NaNoWriMo. This event encourages us to just sit down and write. For folks who want to write, but don't know where to start, NaNoWriMo encourages us to just start writing. 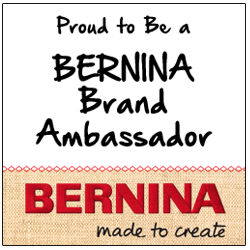 Our goal for the month is to write 50,000 words. Luckily don't all have to be good words, we will have the rest of the year to edit and rewrite to our heart's content. It seems like every time I speak at an event invariable someone will ask me if I've ever considered writing a book, a grown up book without pictures. Well, I have. A lot. But I'm so used to writing nonfiction that I don't quite know how to tell a story that never happened. So, ever the rebel, I'm working on a memoir of sorts. I think once I have my fifty thousand words, I will likely fictionalize the story, mostly to protect the guilty. I haven't decided if it will focus on my needlework life, or something else, but needlework has already crept into my first fifteen hundred words. If that's not enough, there is also a spin off group (pun intended) called NaKniSweMo, National Knit a Sweater Month, that I am going to shoot for. 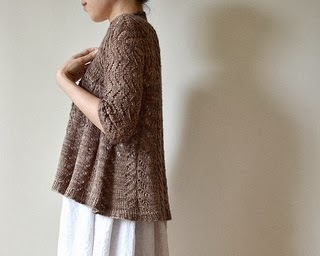 The sweater I intend to cast on today is called Hitofude Cardigan. Isn't it lovely?It's knit all in one piece, with a lace pattern just intricate enough to keep things interesting. And this is the yarn for it. It's Dream in Color Smooshy, which is 20% cashmere. Won't that make a gorgeous holiday sweater? 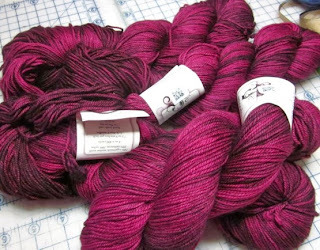 The color is called Sundown Orchid, it's a bit darker than the photo shows. I can hardly wait until I see it knitted up. 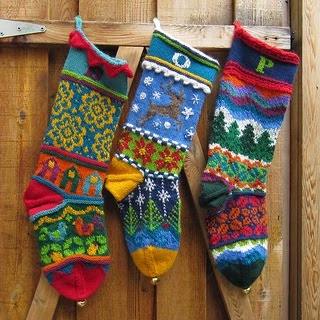 I'm also thinking that I'd like to knit up some Christmas stockings, for at least the grandkids, and Kent and me. We don't usually give each other a lot of gifts, so it would be rather fun to fill a stocking with Christmas cheer for each other. Aren't these adorable? It's Spindleknitter's Stockings, the pattern is on Ravelry. I'm not going to tell you about the crap load of yarn I've just ordered to make these. I've got to have all the colors, after all. And one more thing. It's time to start baking Christmas cookies. Since pretty much everyone I know already has anything I could afford to buy for them, I make platters of assorted cookies for gifts. I guess they all like them, because the hinting starts early.